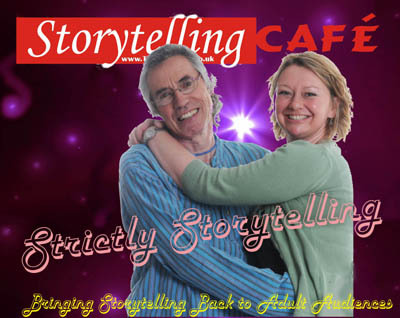 The ritz and glamour of television’s most appalling show is turned on its head to become Storytelling Cafe's most appealing show. Ten storytellers from across the Midlands will give battle. Pitching their skills in a winner takes all, no holds barred face off. At the end of the evening, through the magic and mystery that can only be Storytelling Cafe, a Birmingham Strictly Storytelling Champion hold aloft the Excalibur Award. Expect drama! Expect tears! Expect sequinned dresses. Expect great storytelling and a great night out. Who will be your favourite? You the audience will be the judges but there will be magic in the air. Wily wizard Graham Langley will be there to keep the whole thing in order. So come along everyone - this is the night where the audience turns the tables on the tellers. YOU could be Storytelling Excalibur Champion. To sign up as a Story Slayer and guarantee your place on the night, send us an email with your name and contact details.